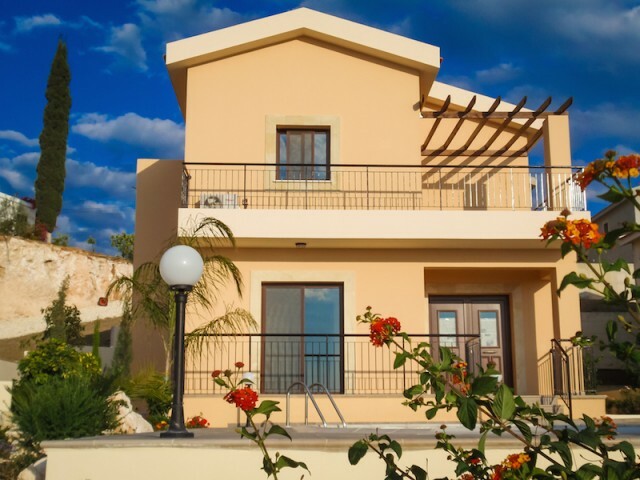 Three bedroom villa in Paphos near Polis on a plot of 440 square meters. It has a magnificent, panoramic view of the sea and forest views. It is a well-designed project, excellent value for money. Private complex in a quiet location, ideal permanent residence and recreation. Air conditioners are provided in all rooms, home appliances. Central heating.